Far away! far away! Echo in the rock at play, Calleth not, calleth not, To this Jonely spot. 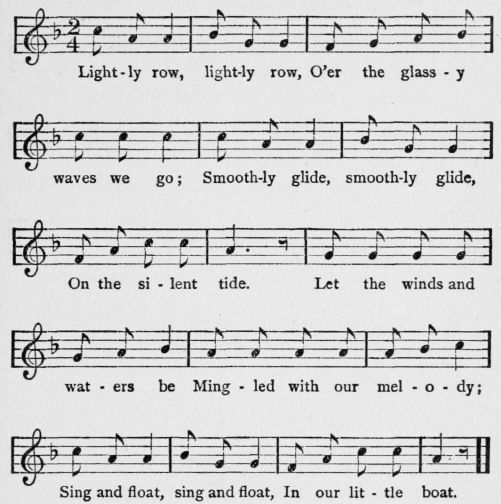 Only with the sea-bird's note, Shall our dying music float! Lightly row! lightly row! Echo's voice is low.